Description: Known for providing a fabulous event to inspire and guide discerning wedding couples in putting the finer details together for your special day with the best of our local wedding venues, vendors and caterers, the Fourth Annual It’z Your Wedding Show will wow you on Sunday November 4th. Joining Dianna for this week's BEACH CORNER, from the beautiful Exchanging Vows Bridal Boutique in downtown Collingwood are Amanda Jerome, Publisher and Editor in Chief for “It’z Your Day Wedding Guide” and Tara Klein, Owner of “Exchanging Vows Bridal Boutique” who will share what we can expect at this event. For more information visit www.itzyourday.com. Please enjoy & SHARE this great local program from Beach BOOSTER Radio. 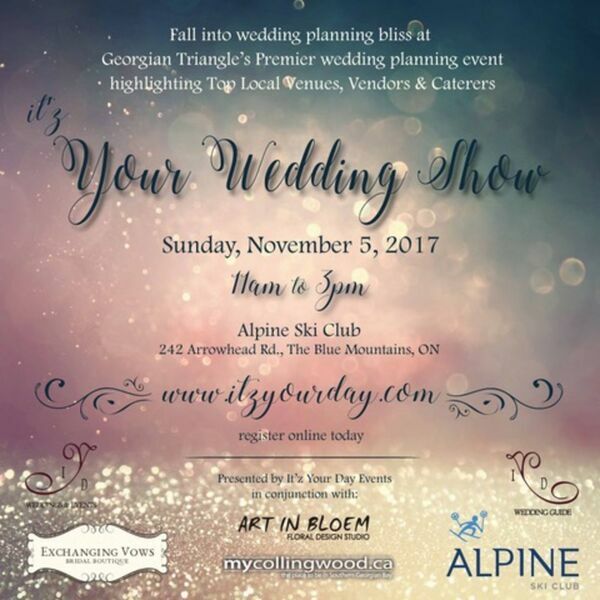 Known for providing a fabulous event to inspire and guide discerning wedding couples in putting the finer details together for your special day with the best of our local wedding venues, vendors and caterers, the Fourth Annual It’z Your Wedding Show will wow you on Sunday November 4th. Joining Dianna for this week's BEACH CORNER, from the beautiful Exchanging Vows Bridal Boutique in downtown Collingwood are Amanda Jerome, Publisher and Editor in Chief for “It’z Your Day Wedding Guide” and Tara Klein, Owner of “Exchanging Vows Bridal Boutique” who will share what we can expect at this event. For more information visit www.itzyourday.com. Please enjoy & SHARE this great local program from Beach BOOSTER Radio.